We are offering Clearwater Sewage Treatment Plants. 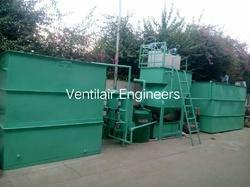 Ventilair engineers are leading prepare & supplier of 50KLD Waste Water Treatment Plant. Application: Automobile units, construction site, restaurant, Different Type industries, School, College, Residential complex etc. Ventilair Engineers is a Leading Manufacturer & Supplier of Effluent Treatment Plants & Sewage Treatment Plants.we have already installed above 700 unit in various industries. We provides Chemical Wastewater Treatment Plants in Delhi, Faridabad, Gurgaon, Bhiwadi, Noida, Gaziabad, Kanpur, Jhansi, Lucknow, Sonipat, Dharuhera, Rewari, Meerut, Rohatak, Shimla, Solan, Una, Hameerpur, Bilaspur, Indore, Bhopal, Ahamdabad, Nagpur, Patna, Rurkee, Ambala, Hanumaangarh, Jhunjhunu, Jagadhri, Jodhpur, Udaipur, Hissar, Panipat, Silwasa, Muzaffernager etc.Wastewater treatment is the process of converting wastewater – water that is no longer needed or is no longer suitable for use – into bilge water that can be discharged back into the environment. It’s formed by a number of activities including bathing, washing, using the toilet, and rainwater runoff. Wastewater is full of contaminants including bacteria, chemicals and other toxins. Its treatment aims at reducing the contaminants to acceptable levels to make the water safe for discharge back into the environment. 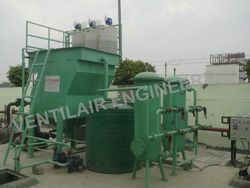 We are offering Waste Water Treatment plant. 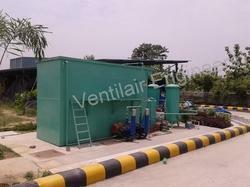 Ventilair Engineers is a leading manufacturer supplier of Grey water treatment plants. we have already installed 700 waste water treatment plants in all over india abroad. VENTILAIR ENGINEERS have also installed Grey water treatment plants with ADAO (Anorbic Digestion With Advace Oxidation) Technology. Specialist in GTP Plant ranging from 1 KLPD – 500KLPD. Greywater is water that has been used for washing dishes, laundering clothes, or bathing. Essentially, any water, other than toilet wastes, draining from a household is Grey water. Although this used water may contain grease, food particles, hair, and any number of other impurities, it may still be suitable for reuse. Reusing Grey water serves two purposes: it reduces the amount of freshwater needed to supply a household, and reduces the amount of waste water entering sewer or septic systems. Ventilair Engineers is a Leading Manufacturer & Supplier of Effluent Treatment Plants & Sewage Treatment Plants.we have already installed above 700 unit in various industries. We provides Chemical Wastewater Treatment Plants in Delhi, Faridabad, Gurgaon, Bhiwadi, Noida, Gaziabad, Kanpur, Jhansi, Lucknow, Sonipat, Dharuhera, Rewari, Meerut, Rohatak, Shimla, Solan, Una, Hameerpur, Bilaspur, Indore, Bhopal, Ahamdabad, Nagpur, Patna, Rurkee, Ambala, Hanumaangarh, Jhunjhunu, Jagadhri, Jodhpur, Udaipur, Hissar, Panipat, Silwasa, Muzaffernager etc.